Google has announced that it is in discussions with 34 US cities in nine metro areas with a view to rolling out its high-speed internet service, called Google Fiber. The service is already operating in Kansas City and Provo and has been earmarked for Austin. Cities being considered are in the metro areas of Atlanta, Charlotte, Nashville, Phoenix, Portland, Raleigh-Durham, Salt Lake City, San Antonio and San Jose. 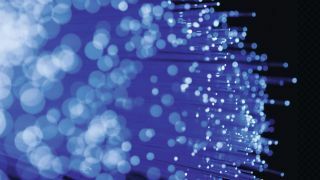 Detailed logistical surveys will be carried out to assess the feasibility of rolling out Fiber to each of the cities, covering issues such as topography, housing density and local infrastructure. Updates are expected to be provided by the end of the year. Google Fiber, which was launched in 2010, offers speeds of 1000Mbps, 100 times faster than today's broadband. Such speeds allow near-instant downloads of large files, like films, and seamless delivery of high definition TV streams. The Google Fiber TV service allows users to record up to eight programs simultaneously and to use their tablet as a remote. Users are also provided with 1TB of cloud storage and fast Wi-Fi. "We've long believed that the Internet's next chapter will be built on gigabit speeds, so it's fantastic to see this momentum," said VP of Google Access Services Milo Medin in a blog post. The roll-out of Google Fiber will provide increased competition to existing broadband providers in the US. current packages in Kansas City and Provo cost US$70 for gigabit Internet or US$120 per month for gigabit Internet with the Google Fiber TV service.